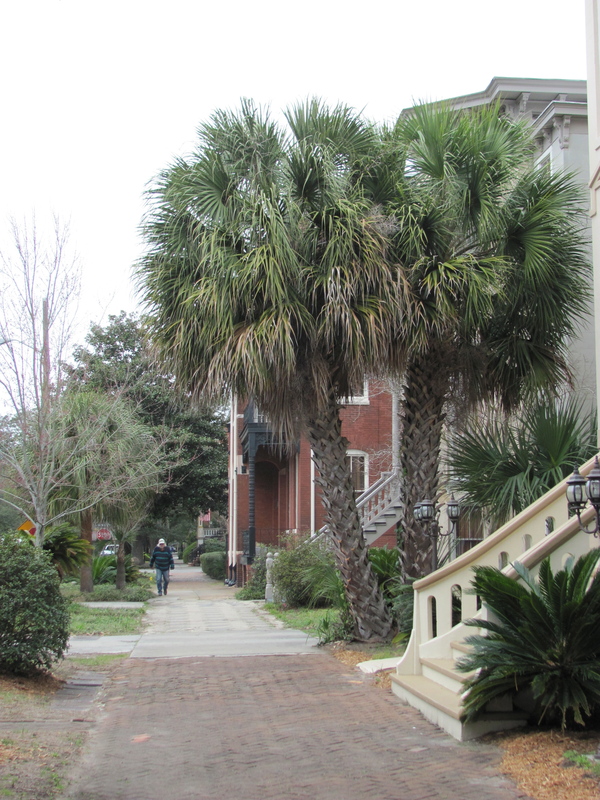 Along the street opposite city hall, Savannah, Georgia, the Sabal palmetto creates a formal planting worthy of an important city. 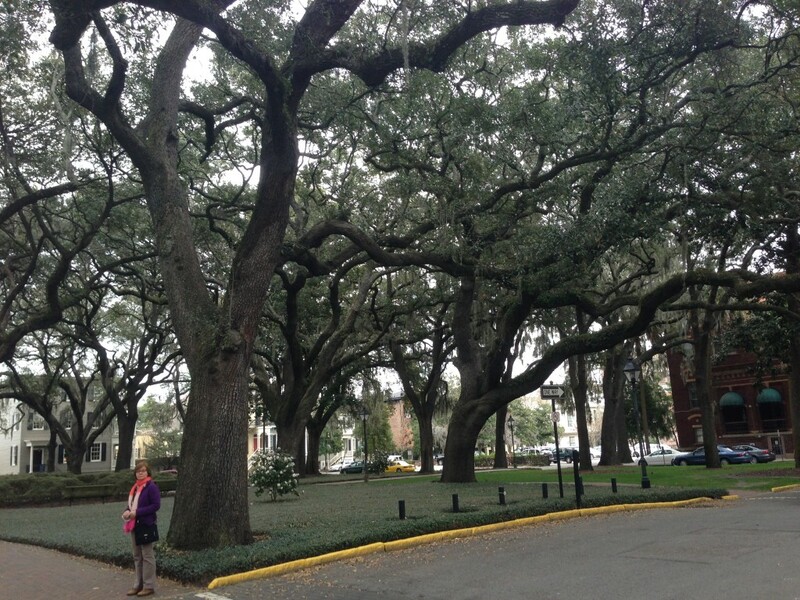 Savannah makes an impression on the American landscape that is imaginative and unforgettable. 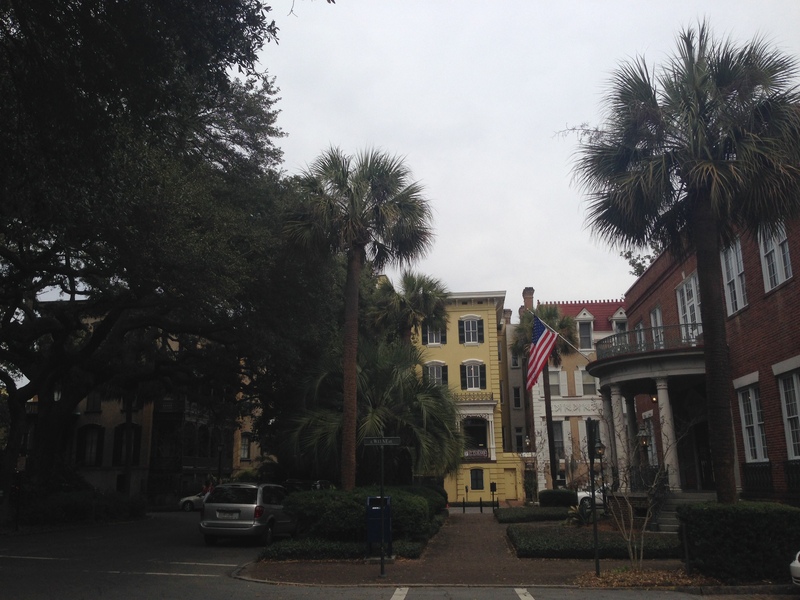 Savannah, Georgia has survived and persevered. 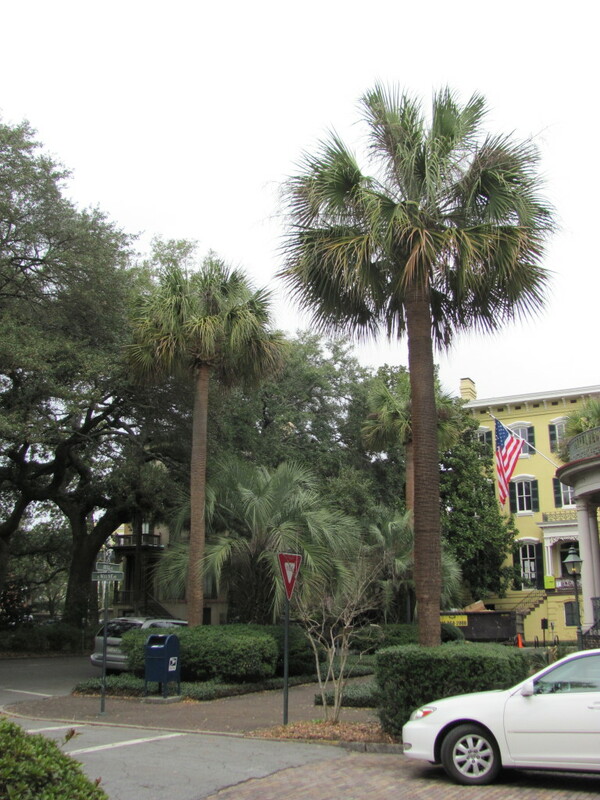 It has since preserved, conserved and restored a sense and vision of a city rarely glimpsed in the contemporary landscape, however Savannah was mostly preserved, and to walk through this city is a pleasure. 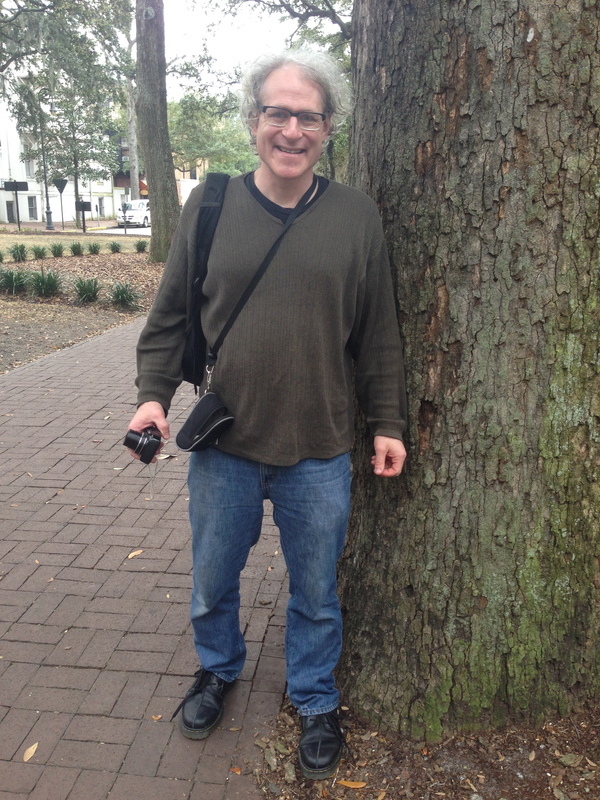 A vision was created and abided by for many years, a vision of public squares and trees. We oohed and awed at the architecture and the distinctly southern grandeur and refinement of taste; a blend of urbanism, gardening and public spaces- a graciousness rarely afforded in such splendor in other urban areas we have experienced- here it is, the panoramic of a storied city, this unforgettable, treed vista of understanding and conscious practice of arbor-culture that blends beautifully with the built and ever-so lived in city-scape. 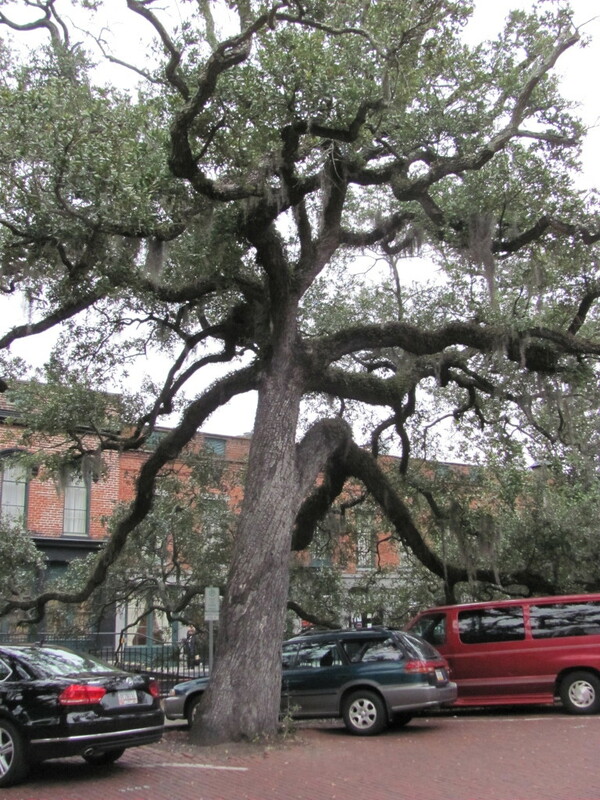 The street trees of Savannah are often planted in a line, but are just as often found in the state of intersection, combined together telling a story of the favored trees of a particular era, the trees that have persisted, and even trees that were imported from other continents. 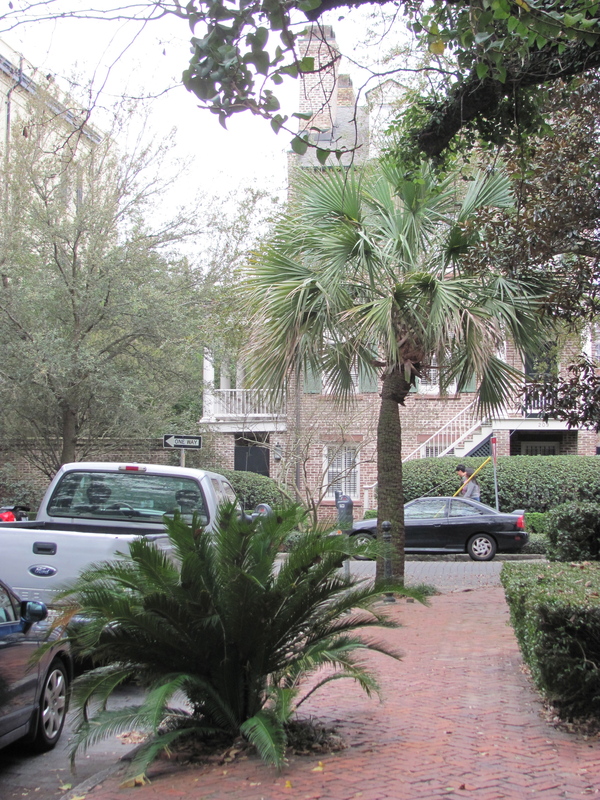 Below is an assemblage of Live Oaks in the back-round, with Sabal palmetto in the foreground, mixed with the lower growing Butia capitata, the Pindo Palm – a South American import. This lush greenery in a higher density neighborhood of row-houses with on street parking, all of which is highly coveted real-estate. 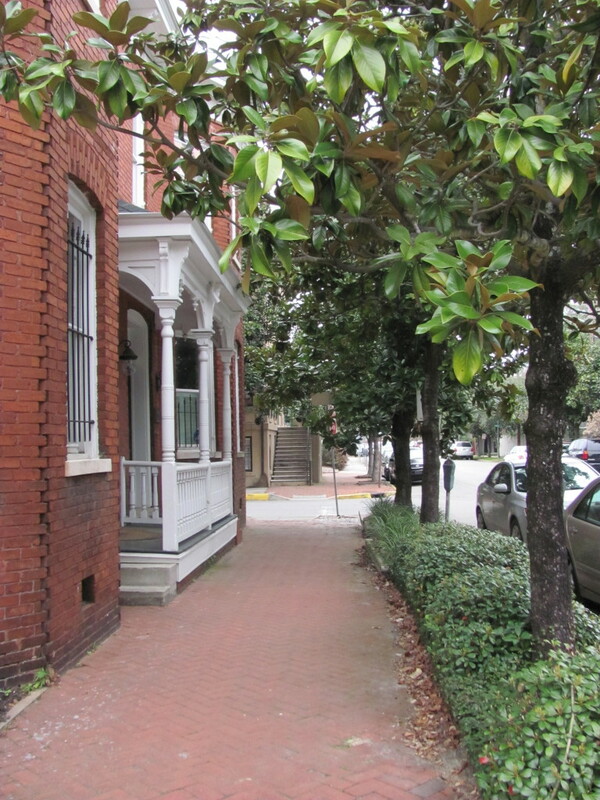 The charm of brick sidewalks and streets has been preserved, providing a warm texture and color to the urban landscape. 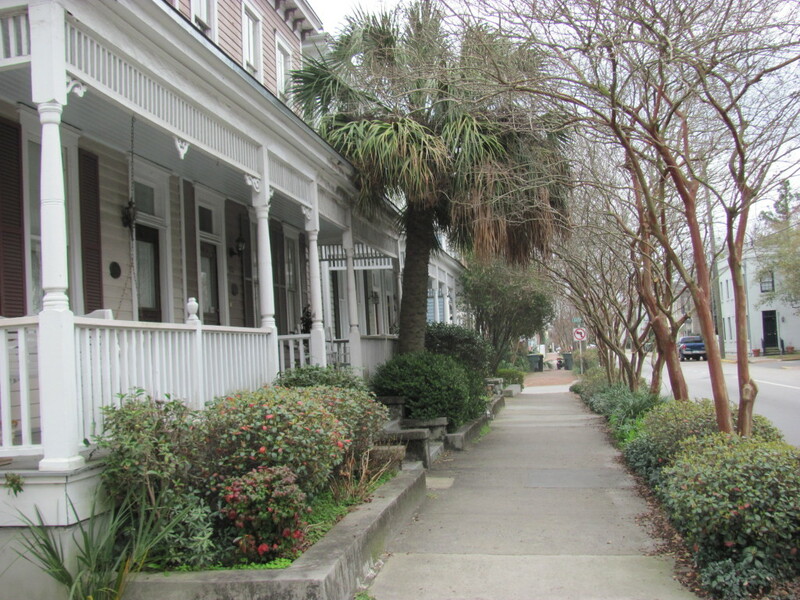 A row of Butia capitata, the South American Pindo Palms. 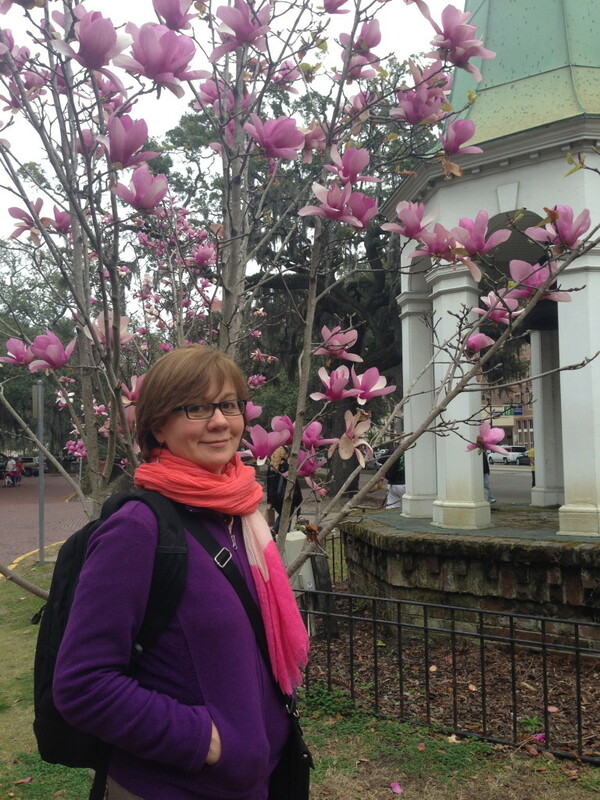 Below, Isabelle poses with an Asian Magnolia blooming away down by the waterfront. 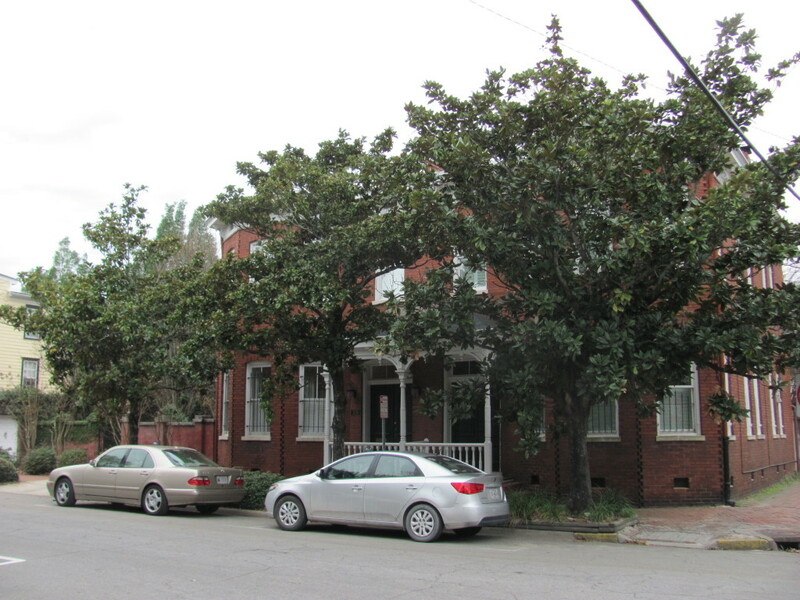 This is the Southern Magnolia (Magnolia grandiflora), planted as a street tree here in Savannah. Much can be said of this Grand Dame of a native Magnolia. It is an evergreen giving even a dull February day some degree of distinction. 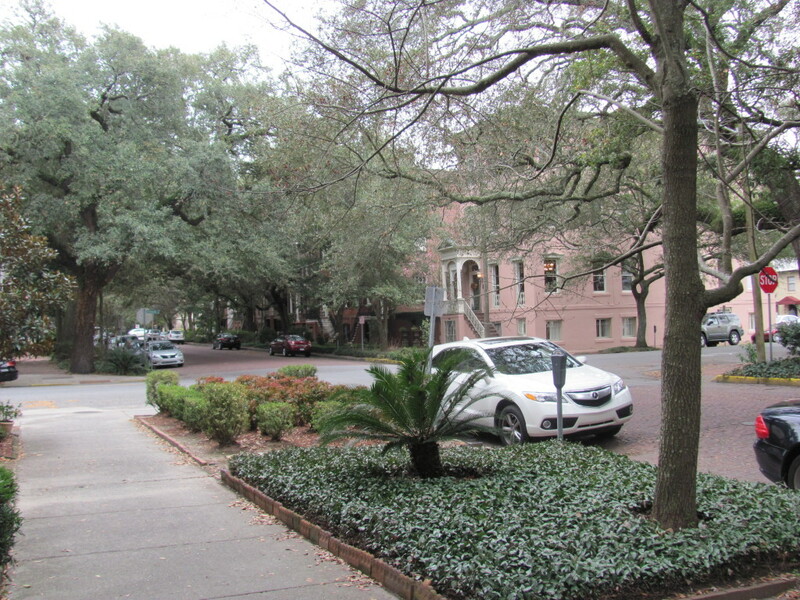 Note how much space is dedicated to the trees, still sharing with parking meters and telephone poles. 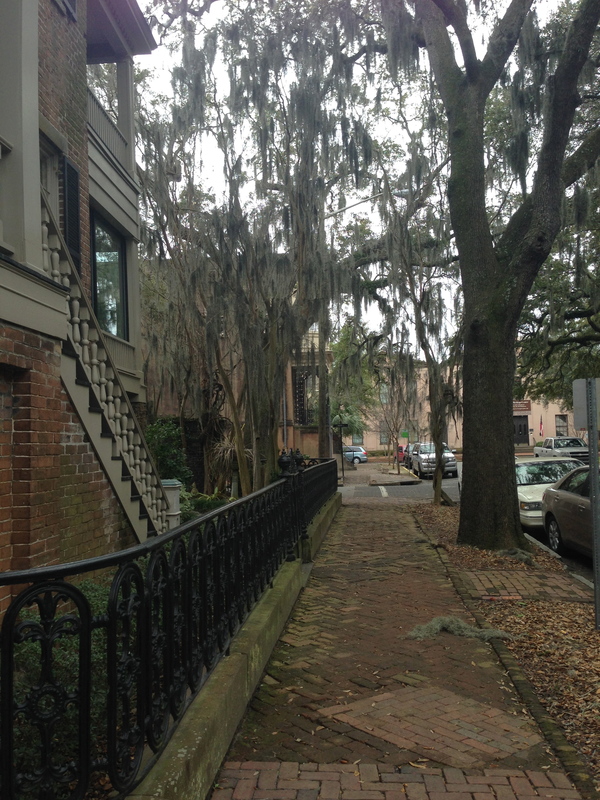 Much of Savannah retains the feel of a city with a residential quality, lots of porches, brick, walkability, with short blocks, all of them near squares. 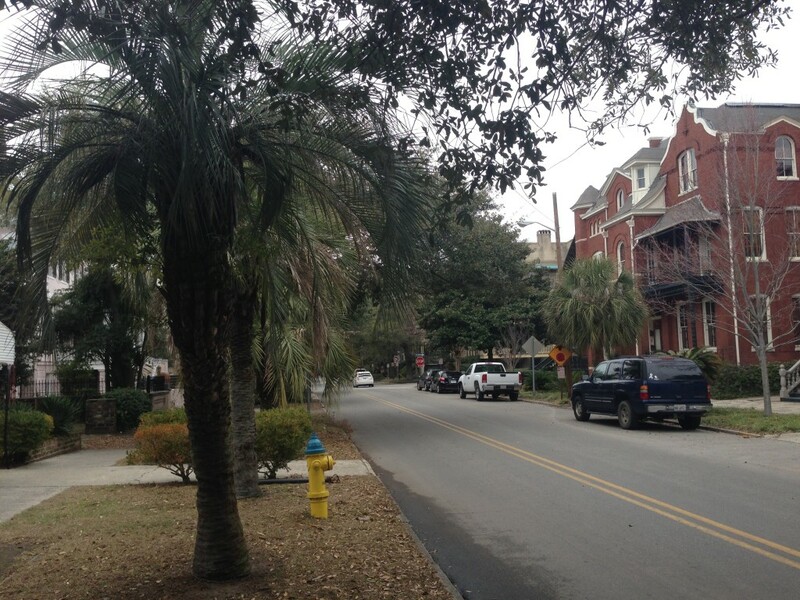 It could use a streetcar system to further enhance transportation and reduce auto traffic. This above, appears to be the Savannah Holly, Ilex attenuata ‘savannah’. 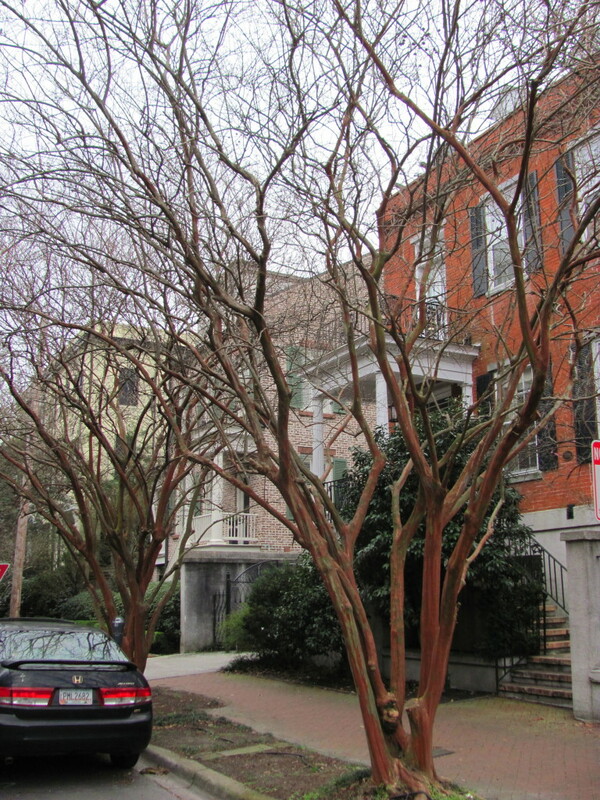 And the Crepe Myrtle, Lagerstroemia. Often planted along highway intersections and large commercial and industrial properties and strip malls throughout the South, we found this elegantly pruned row as a street tree. These specific specimens were trained in the multi-stemmed form of this Asian Tree/shrub. 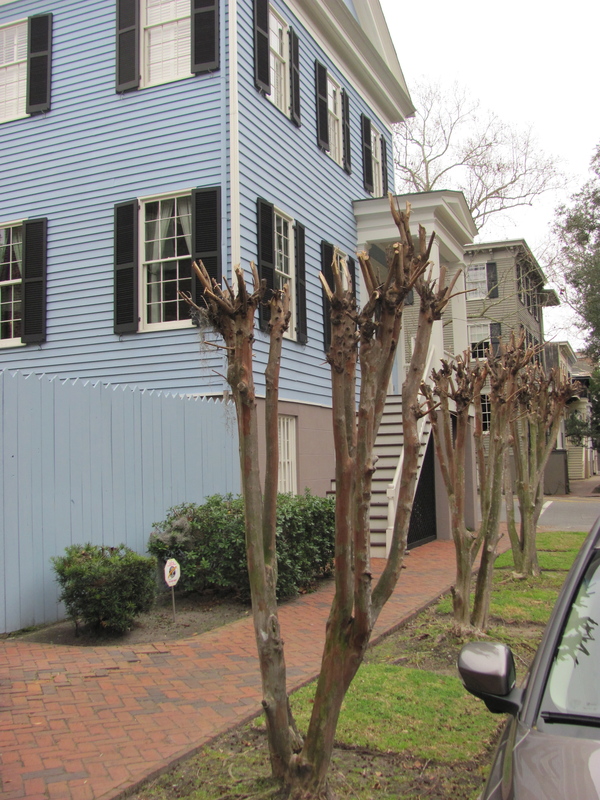 Below, these Crepe Myrtles have been……Pollarded perhaps? This is done to increase the flowering density, but at the expense of having to look at a butchered stub for the other half of the year. 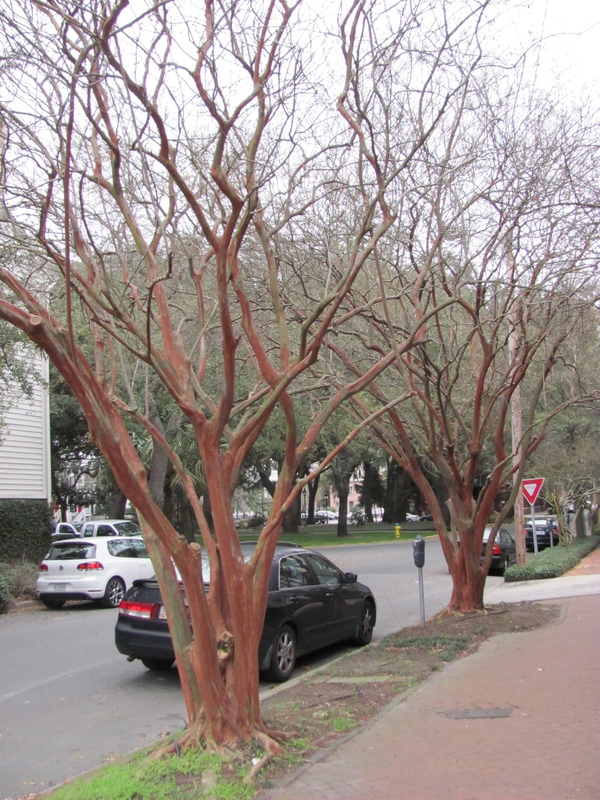 Here the Crepe Myrtles are kept gracefully as a street tree. In the next few pictures we show the use of the Sago Palm (Cycas revoluta) planted street-side. 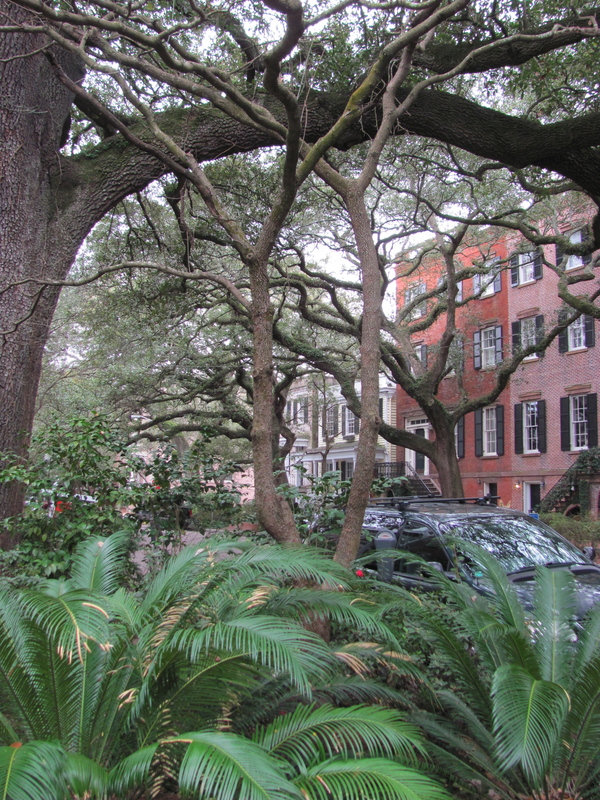 On this block, there is more of a feeling of being in a forest than on a city block. 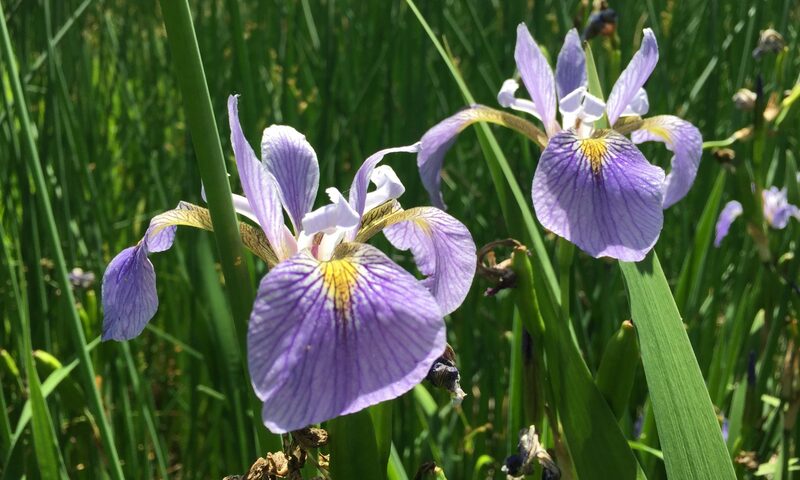 The vegetation must contribute to cooler temperatures in the heat of the summer. From a distance, what appears to be the blooming Red Maple across the street. There is the possibility this specimen could be crossed with a Silver Maple. 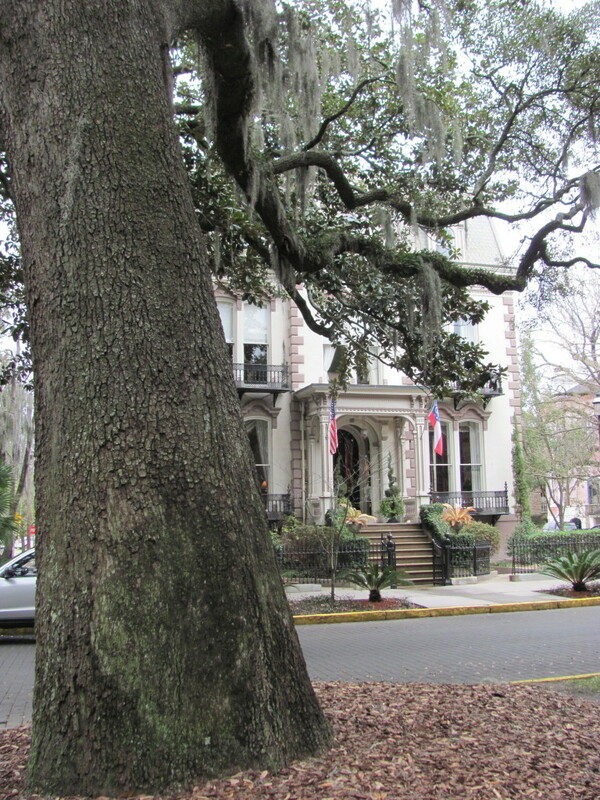 The Southern Live Oak (Quercus Virginiana) is the most iconic tree of Savannah, Georgia. 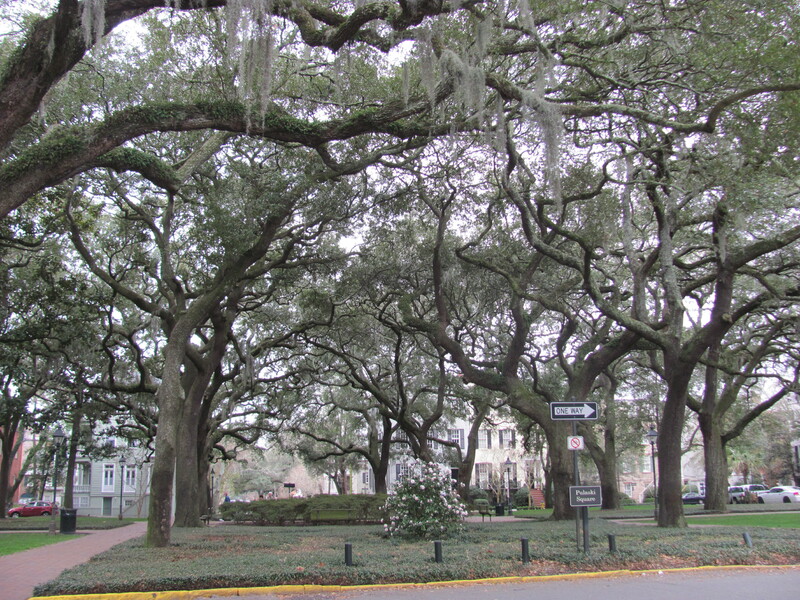 The evergreen Live Oaks with their drooping, curvaceous branches, draped in Spanish moss create the most atmospheric Southern quality to Savannah’s streets and public squares. The city planners may have had some to work with in the early layouts, but they also had to plant and design the city with these trees in mind, and now we get to enjoy them in their maturity. 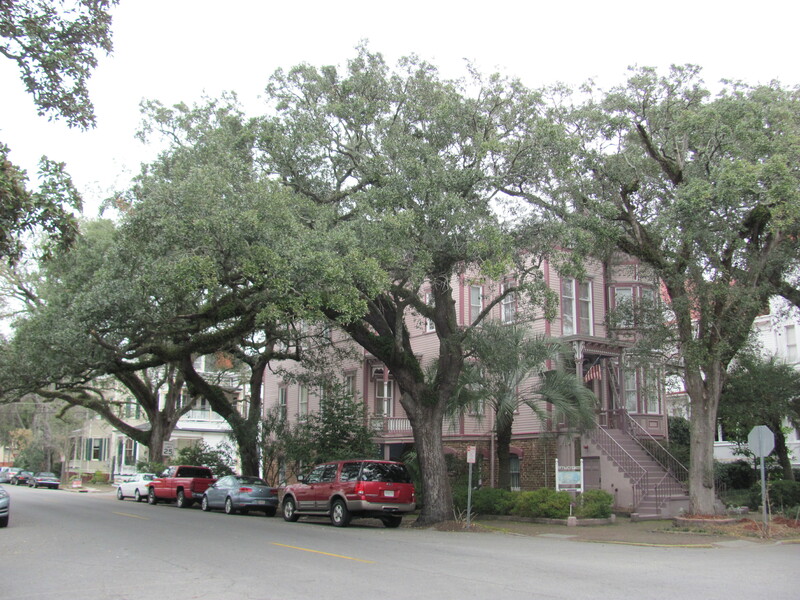 These trees are the essence of the patina of age a city can inherit from the aesthetically minded and articulate city planners and engaged citizens who despised the monotony of thoughtless development and sought to nurture and create the iconic Savannah we can enjoy today. 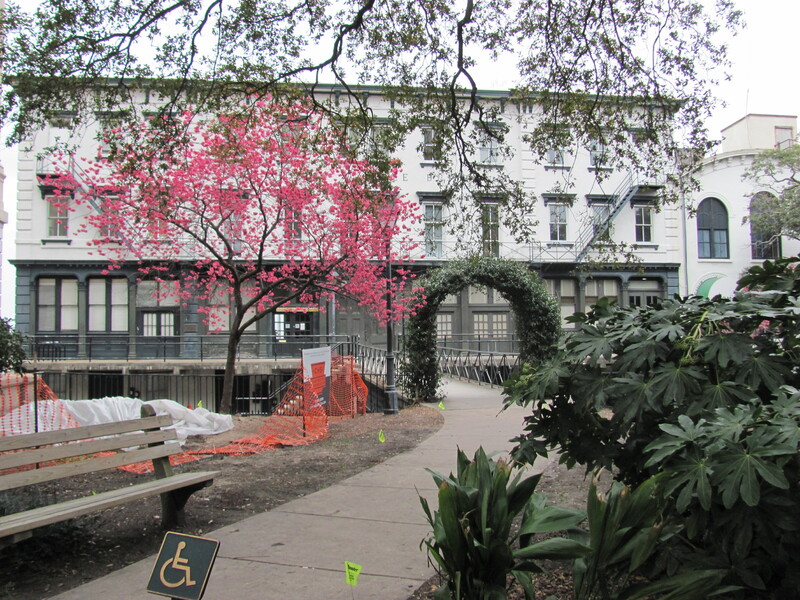 Perhaps as the city expanded outwards in the ever growing need for housing and the accommodations of business, land was being cleared for building, but the founding lawmakers, developers and owners had all experienced the qualities of this native tree on a piece of land; its shade in the summer and greenery in the winter; and perhaps they also saw them felled on city lots to be slated for development, or sold for ship-building as these trees provided excellent structural components for curves in the hulls of ships- and their loss, especially in the summer’s sun proved to be unforgettable: and the trees were soon kept in place or re-planted as saplings in the implemented planning of blocks , homes and public squares. Always thinking even on holiday, exactly what is it that makes a beautiful, unforgettable city? There is no one answer, of course, because every city is in a different place, with a different geology, climate, and topography and history. For those who are working actively to improve their own cities and towns, neighborhoods and blocks, the same issues arise above the obvious ones of safety and comfort: walkability, sense of community, access to commerce and other communities. The sense that neighbors are looking out for each other or at least there are actually neighbors that may care about your well-being. 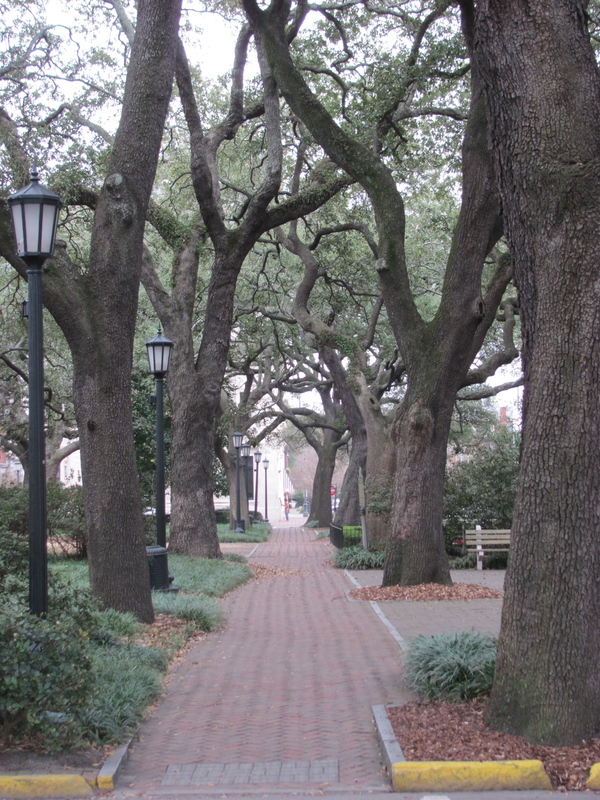 Public spaces that are actively utilized and are alive with the community. These are just some of the qualities of a functioning city, the city we want to live in. 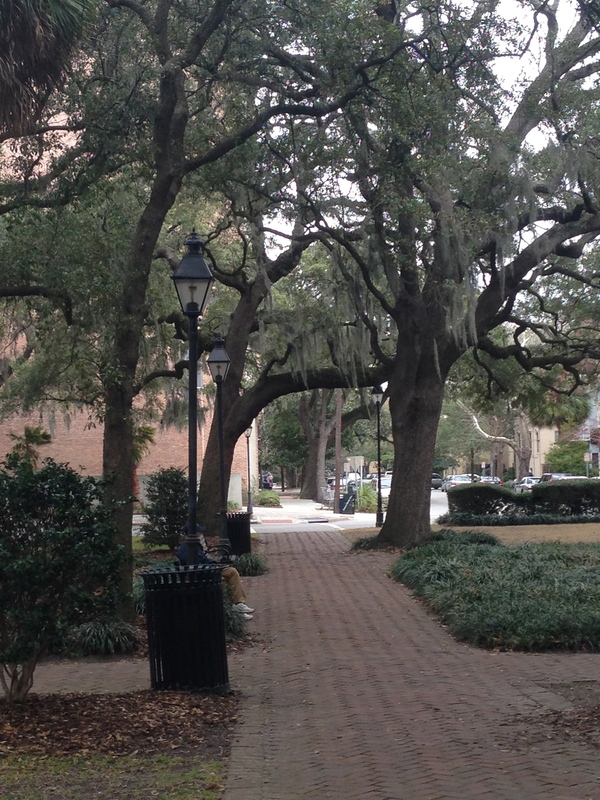 There are many manifestations of the utopian urban setting proposed and built, and Savannah has one that is quite pleasant and its aesthetic qualities of urban development and maintenance are worth considering. Cities are becoming much more attractive places to live and work and more and more are people looking to cities as places to lay down roots, invest in property and become civically involved. 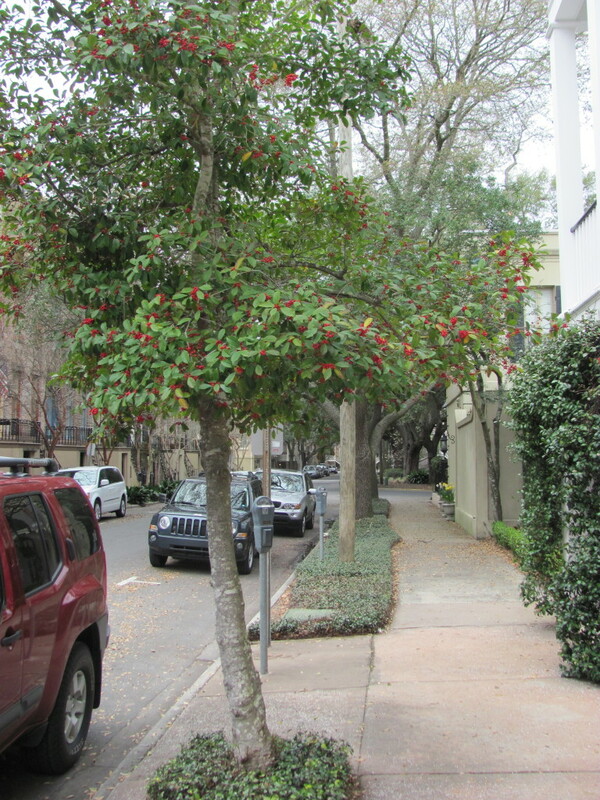 As those of us who are getting into the issues of city living, owning your homes, and developing roots in your new neighborhoods, joining zoning committees, planning sessions, urban gardening or even doing city planning, we must see the cities that are beautiful and appeal to our senses, and see what they are composed of, like Savannah, Georgia. Right now, cities like our Philadelphia, Pennsylvania are undergoing this transformation in some sections. There is a strong movement towards Philadelphia’s new urbanism, from a solid economic sense to a visionary idealistic desire, both of which are closing in on each other which is why Philadelphia is most definitely an important city to watch. Philadelphia’s sheer magnitude and population is relegated into a grid of row-houses that is oriented more in relation to its two rivers than strickly North-South. Its expansive park system is one of the largest in the world for a city of this size, and includes numerous squares and public spaces throughout with plans for more “micro parklets”. It is also the lucky inheritor of an extensive public transportation system that includes trolleys and subways. The new urbanism in Philadelphia is growing with city Planning in mind as well as gardening, urban farming, political activism, art, music, literature and culture. All of this occurring side by side with an antiquated political system, vast wastelands of urban planning mishaps, some still on the drawing-boards , poverty and blight. 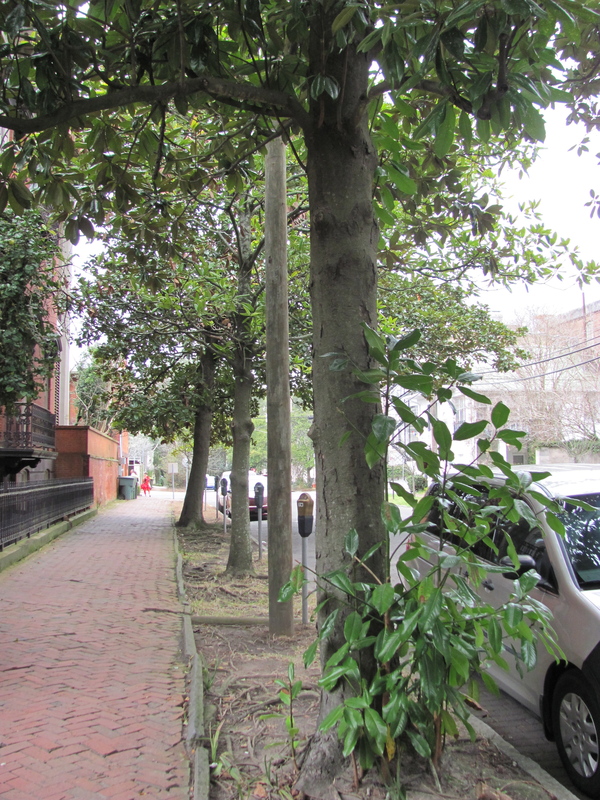 However, the infrastructure of what makes a beautiful city is in Philadelphia as well- if the houses were repaired in a sensitive manner and there were appropriately planted street trees that were cared for, like in Savannah. 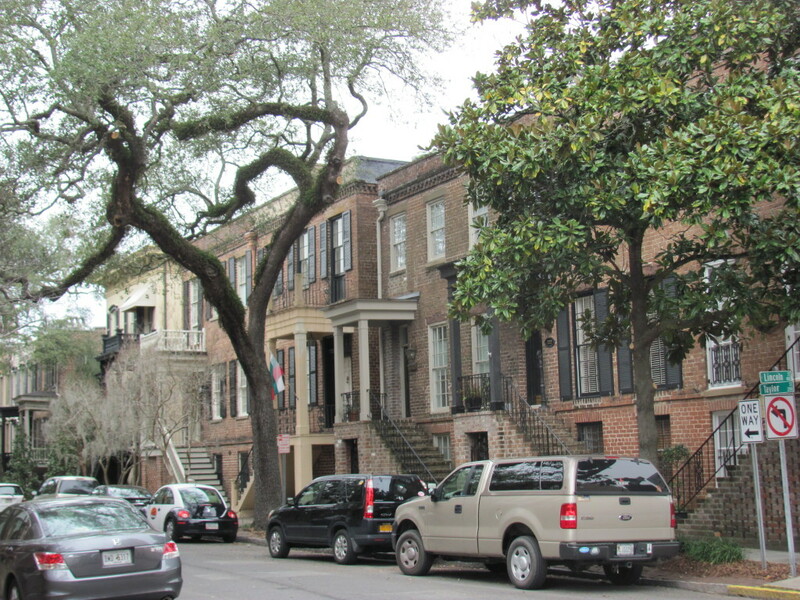 The row houses of Philadelphia, like in Savannah are everything that new urbanism requires: environmental viability in terms of efficiency, and the urban density that makes neighborhoods lively but not overcrowded, buildings own-able and relatively easy to care for. 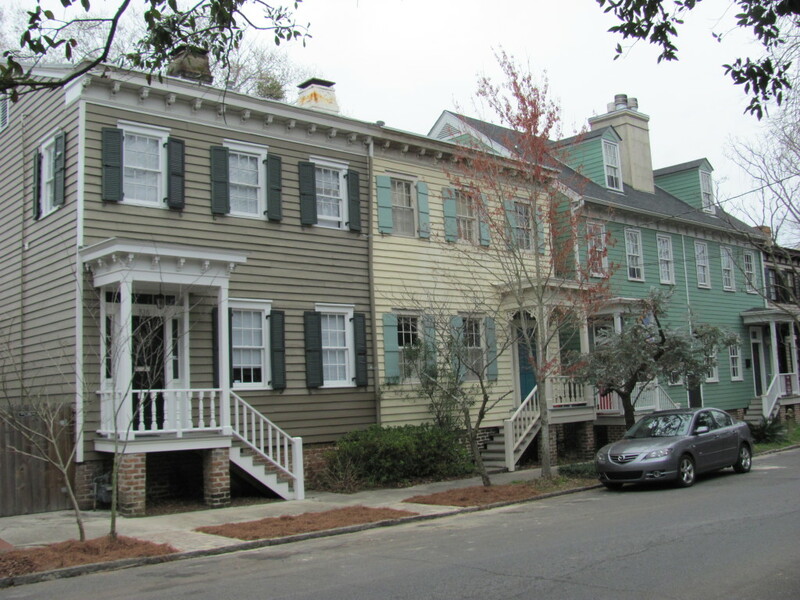 Rowhouses also offer an opportunity for architectural splendor, most opportunities of this have been squandered since the 1950s, but there is plenty of intact housing stock left dating back to the 18th century. 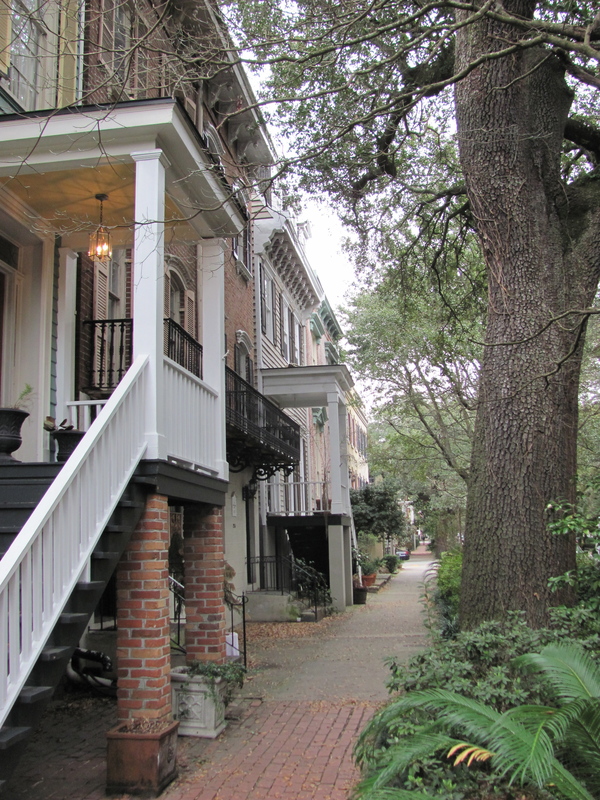 When walking the streets of Savannah it became increasingly apparent that these views of row-houses, generous porches and ample public green spaces could be in Philly. Maybe what could be done with some of Philadelphia’s vast amounts of vacant land. 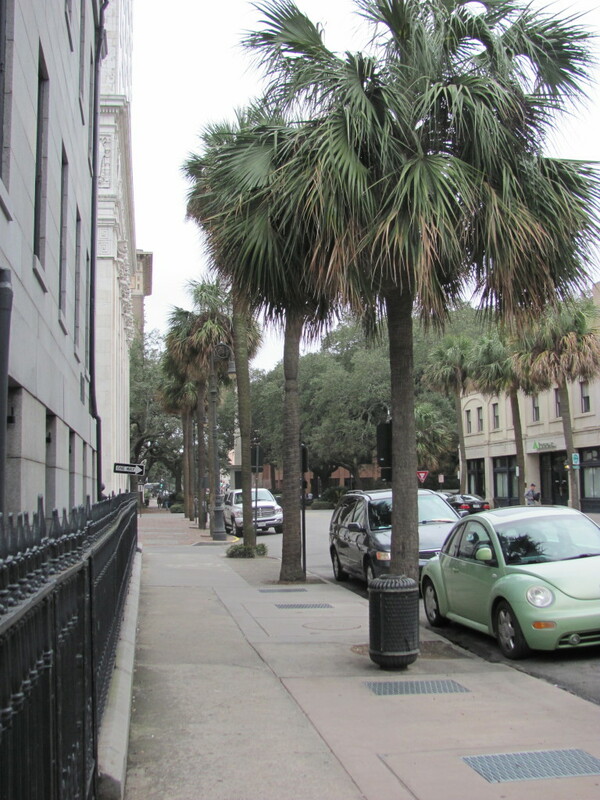 While Savannah and its street and park trees will always remain unique in its atmospheric qualities, history and aesthetic patina of culture and location, it is these very things that every city must embrace to re-establish themselves as livable places again. Often removing something that is awful and misplaced can help revive a once beautiful city, such as a highway. San Francisco, already beautiful, liberated its waterfront by removing a highway. One day, NYC hopes to remove Madison Square Garden, a horrific 1960s stadium in the middle of the city. Save what is there that creates a sense of place, and re-invent by looking at what works in the cities that are magnificent and iconic. Each and every tree was considered thoughtfully. 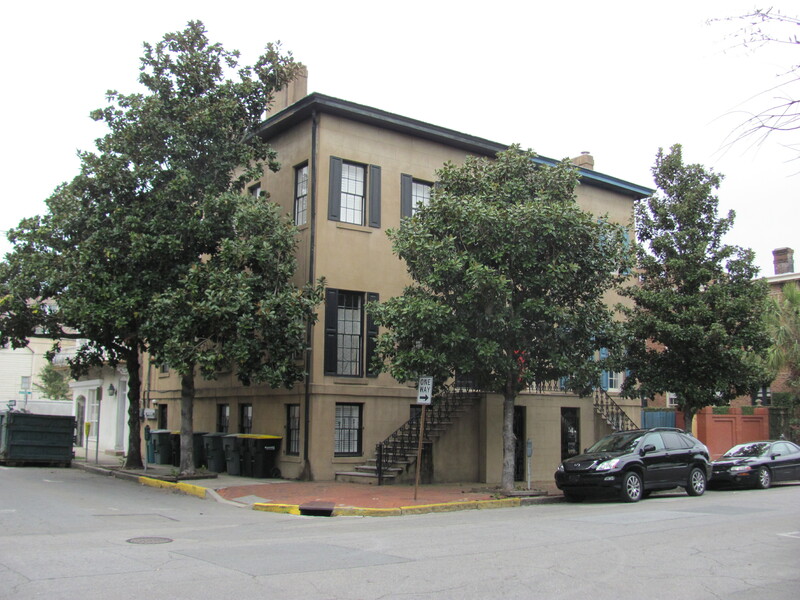 So these painted shutters and elegantly preserved brick facades and stoops of these rowhouses work together with the Magnolia grandiflora and Quercus virginiana to create a view of this quintessentially southern mercantile city, one of whose charm was conceived of and cultivated with the very intent to charm. 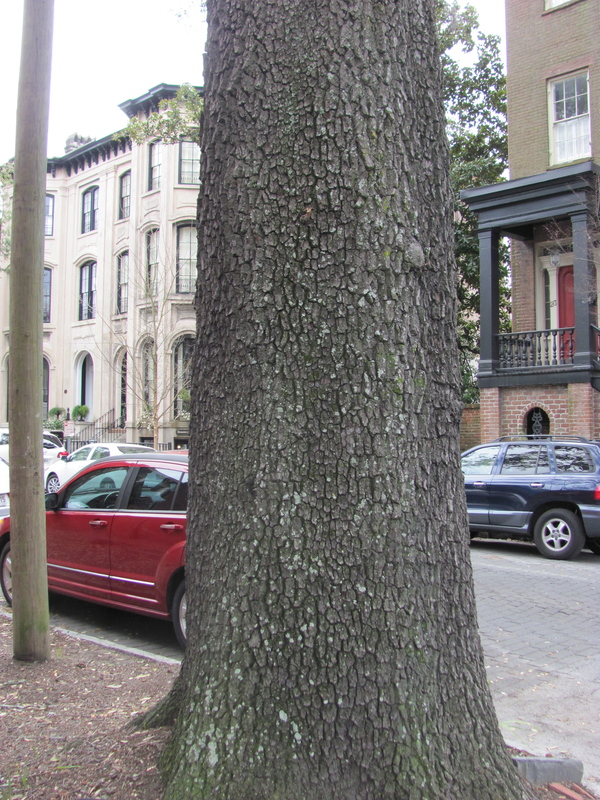 Quercus virginiana, bark and trunk. And lastly, we visit a brand new city, Suwannee, Georgia, just outside of Atlanta. 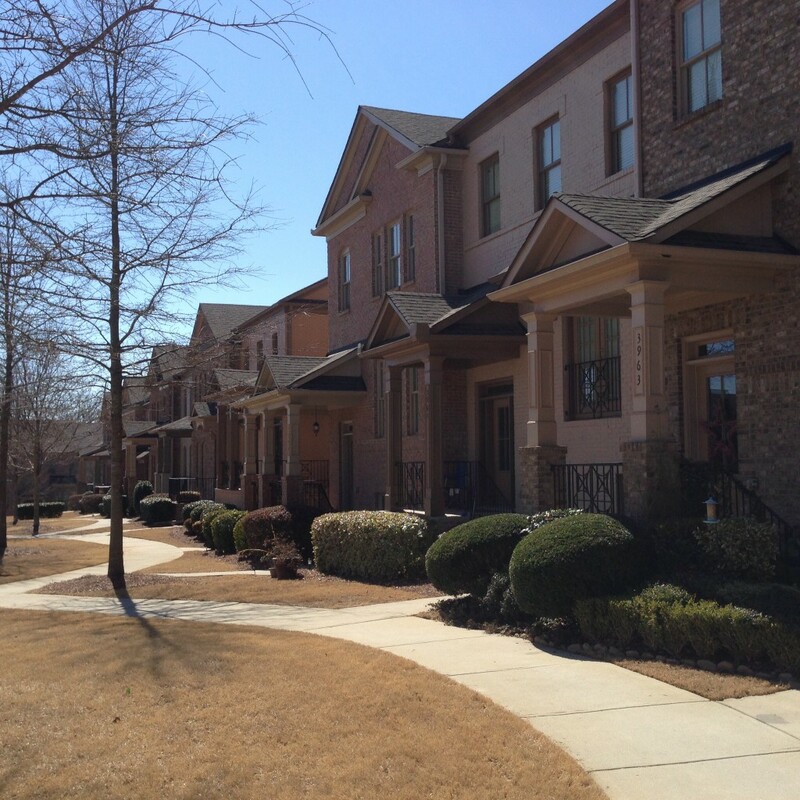 Here the developers embraced some of the ideas of the new urbanism and planned their community around row-houses grouped around public greens, newly planted with Quercus virginiana, the Live Oak, and named the green Savannah. 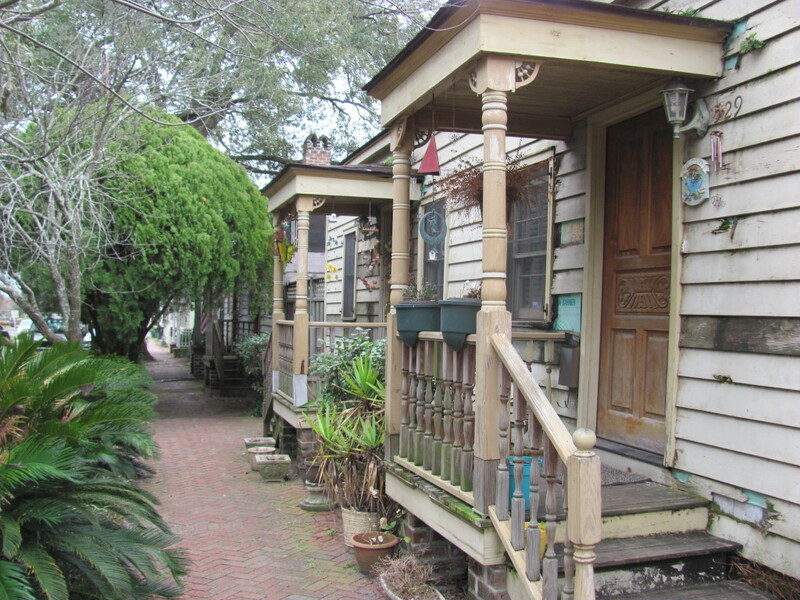 These houses were situated adjacent to a commercial area designed to look like a typical Georgia town, surrounding a green. Here is a genuine decision to create a sense of place, with housing that can create a community alongside public space and walking distance from commercial interests. 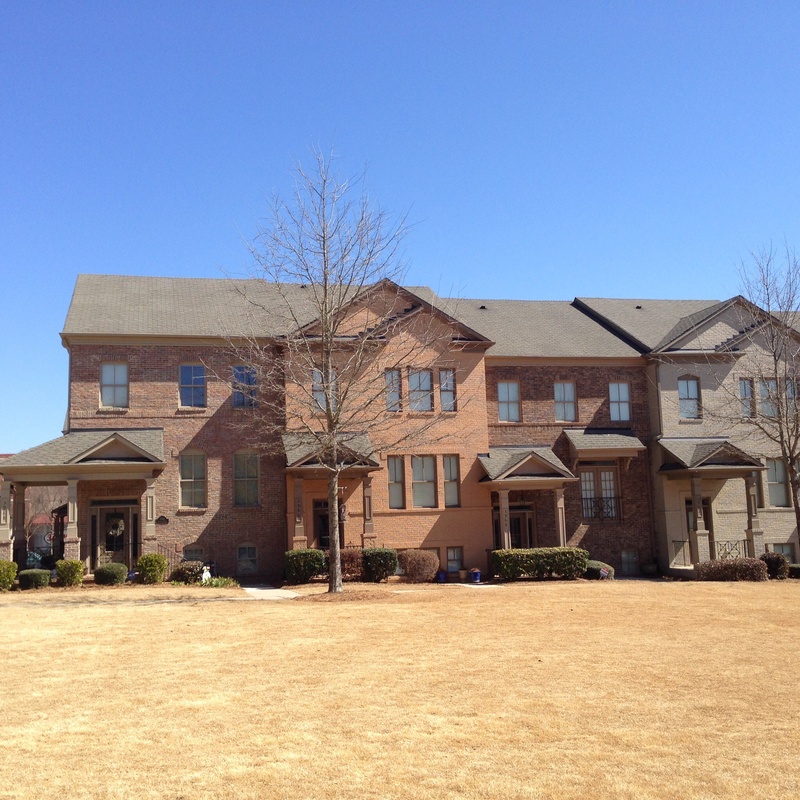 On top of that this community is located next to a huge park with over five miles of walking trails! This new city lacks the patina of age, but it has all of the intentions of that sense of place! It is very instructional seeing pictures of newly -built developments whether it is in the 1890s or recently, the lack of trees or the small size of them. How much properly appointed and well thought-out plantings of trees contribute to the atmosphere of a city is astonishing. 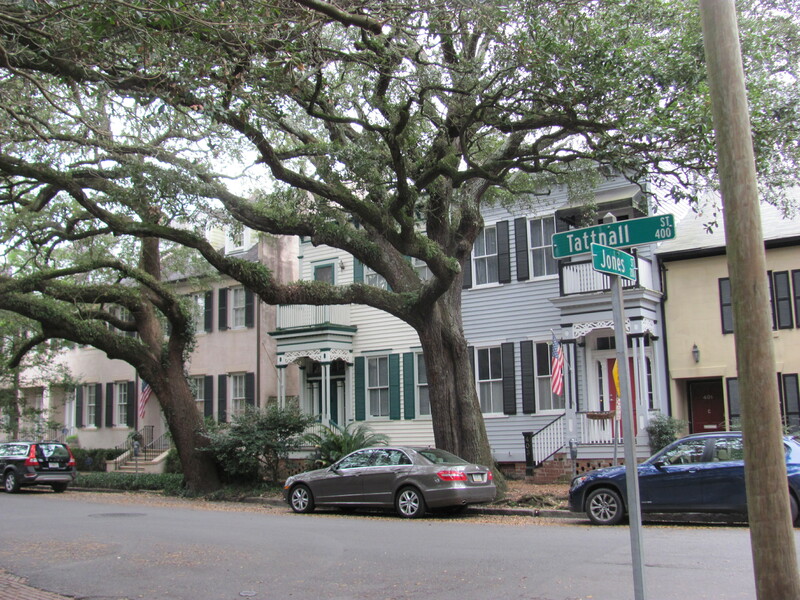 In a neighborhood with old majestic trees, one can benefit from such foresight and the shade and beauty; however likely there will be disappointment when these trees must be taken down inevitably, as such lamentations were expressed in the local Savannah papers about the removal of a dying but much -loved tree in one of the squares. 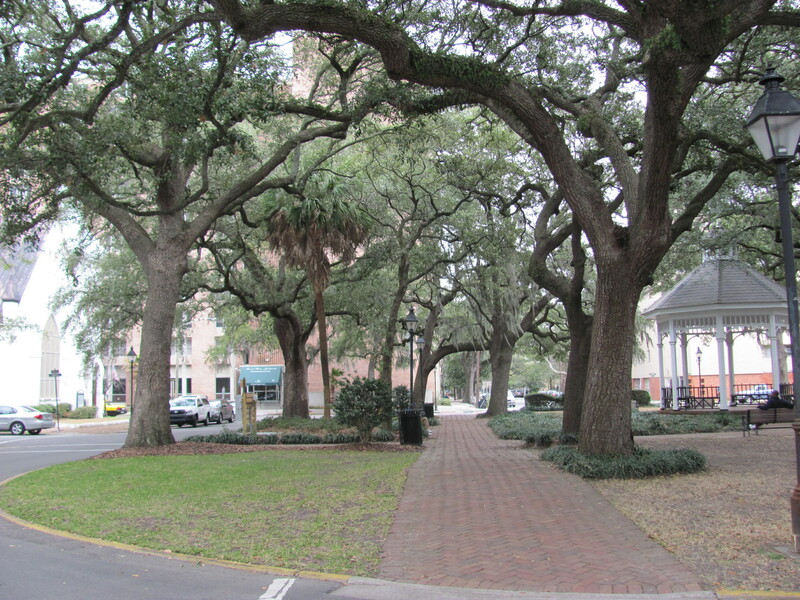 In a contrasting light, the inhabitants of this new square Savannah get the pleasure of watching these Live Oaks grow. I’ve seen trees that have large spider webs in the branches. I looked at the leaves and tried to find them online. They look like leaves on the Copal tree in Mexico but I’m not sure. 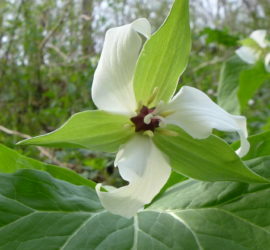 The leaves are 3″- 4″ long, slender with a slight curve, like a long stretched out oval. Can you identify what tree it is? There’s one in the alley behind 66th at Abercorn that tends to be full of spider webs. 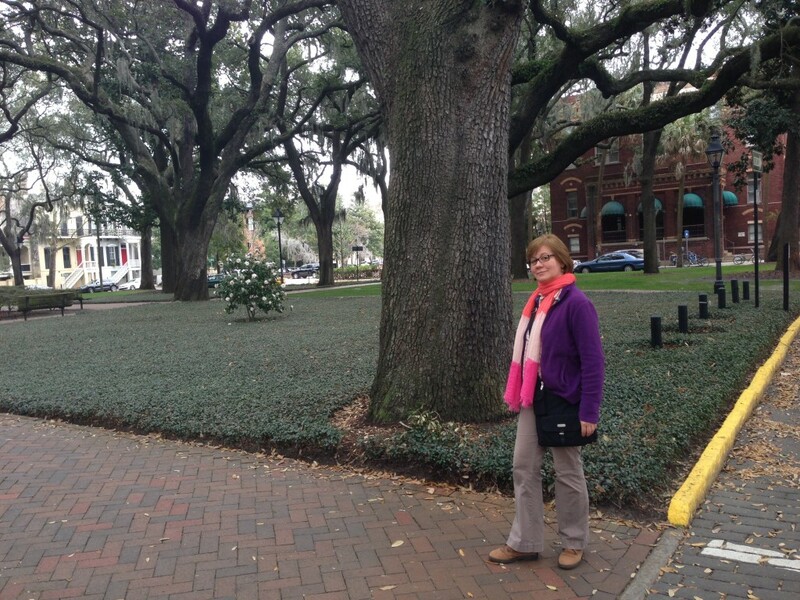 These are wonderful pictures and Savannah is a beautiful city. I have just been reading about a bike sharing co there which allows for short term rentals. What a great idea. I’m looking forward to planning a little trip. Renting a bike there sounds like fun!